Bangladesh Prime Minister Sheikh Hasina has urged the Commonwealth countries to force Myanmar to stop the persecution and take the Rohingya refugees back. "I would like to request you all to discuss the Rohingya issue with utmost importance and exert pressure on the Myanmar government to stop persecution on its citizens [Rohingyas]and take them back at the earliest," The Daily Star quoted Hasina as saying. Hasina was speaking at the inauguration of the 63rd Commonwealth Parliamentary Conference (CPC) on Sunday. The Bangladesh prime minister emphasised that the forceful expulsion of Rohingyas from their homeland has created instability in the region and beyond. Hasina mentioned that over 6,22,000 Myanmar nationals fled to Bangladesh to escape persecution. "We've given temporary shelter to this huge number of people on humanitarian grounds," she said. 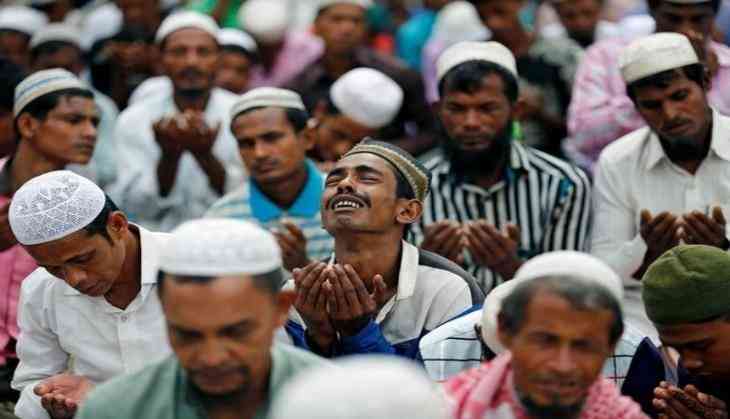 Nearly half a million Rohingyas have fled to Bangladesh due to violence in the Rakhine state. The Myanmar troops launched a crackdown in the state in response to the attacks on three border posts last year that killed nine police officers. Since then, many Rohingya Muslims have tried to move into Bangladesh illegally.